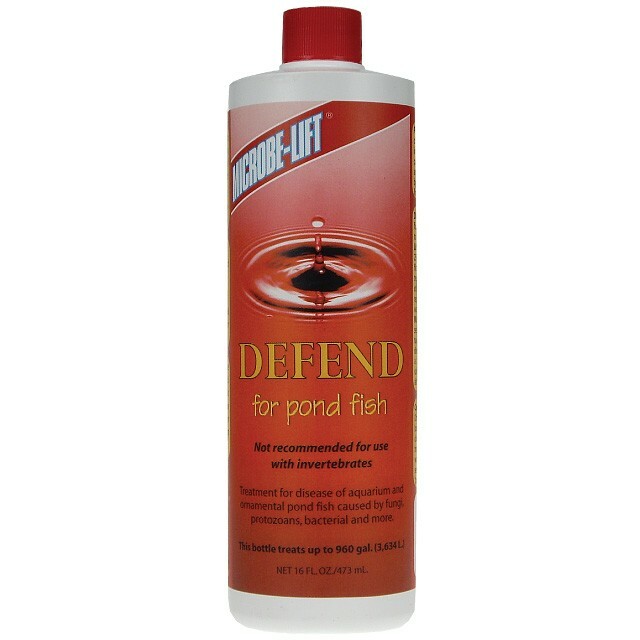 Microbe-lift Anti-Fungal Treatment (DEFEND) provides rapid relief for Whitish Cottony patches on skin or fins and Grayish slime surface on body. Combines two major anti-fungal ingredients plus a slime coat stimulator. Contains a healant to assist a natural slime coat to mend and protect damaged tissues. Remove any carbon from pond filters. 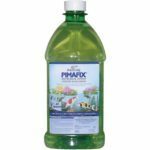 Add one oz per 60 gallons (one cup per 480 gallons) of pond water. Maintain aeration during treatment. Re-treat the water if symptoms do not improve within 48 hours. Formalin with cupric sulfate and potassium dichomate to eliminate fungus.